Time to celebrate all the brilliant, inspiring, epic and awesome sportswomen and girls who are getting out there and getting active, from grassroots to elite level. And if you’re looking for a way to start exercising, why not find a WSW16 session near you, or join a local club or group for a run or ride? From 3-9 October, all over the country there are hundreds of free and discounted taster sessions and classes being put on by gyms, clubs, fitness groups and more. You can find your nearest event on the Women In Sport website, and learn more about the objectives of Women’s Sport Week here. 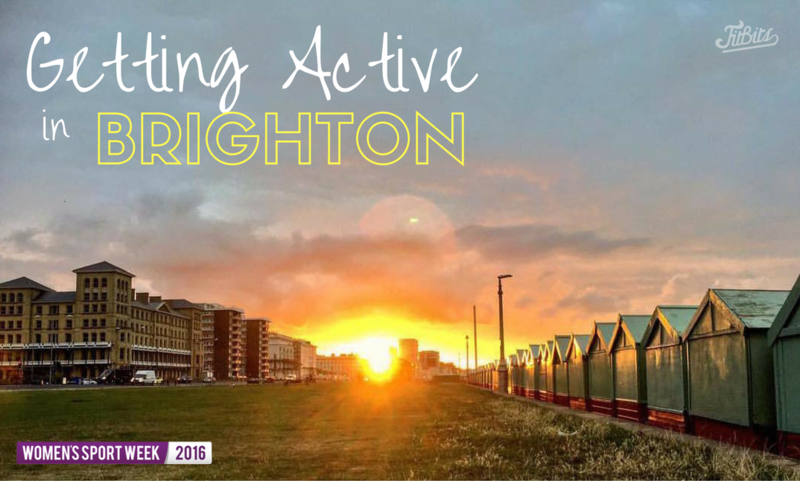 In Brighton in particular there are literally so many ways to get active – it’s no secret that I regard the city as one massive playground of fun and games. For me, being active is as much a social thing as it is a personal choice for my own health and wellbeing. I’m part of so many amazing groups and have met so many brilliant people through fitness that it’s really just one big catch up every time I head out for a run, ride or session. And that’s the key – find something you love doing, with people who inspire and encourage you to keep doing it. (Or distract you from the pain with the promise of good chat, post-session cake and tea). It’s just a case of biting the bullet and getting along to that first session – once you’ve done the hard bit, the rest will follow! The below are not all women-specific sessions unless specified, but don’t let that put you off – us girls can show the boys how it’s done! Most of these ideas are very cheap or free to do too, so get stuck in! Fitbitch – Fun, varied, full body ladies fitness bootcamp, running courses and transformation courses. Check out what’s on offer and book at fitbitchbootcamp.com. PT – I’ve worked with Brighton PT Amy Jordan at Love Life Fitness a fair bit and she always makes me work harder than I would normally (or want to!) to get real results. Check out the below video I made for Active Sussex and WSW16 with Amy and visit facebook.com/lovelifefitnessbrighton to get in touch. bfit – this is where I really learned to love exercise. These bootcamp classes got me hooked from the start. Loud music and a fun, high intensity workout – what’s not to love? Transform PT – Ah, where it all began. After starting Weight Watchers and plateauing with my weight loss I bought a four-week Groupon of three bootcamp classes a week. Best thing I ever did as somewhere along the line I actually started liking it! Check out Rob’s services and sessions at transformpthove.co.uk. 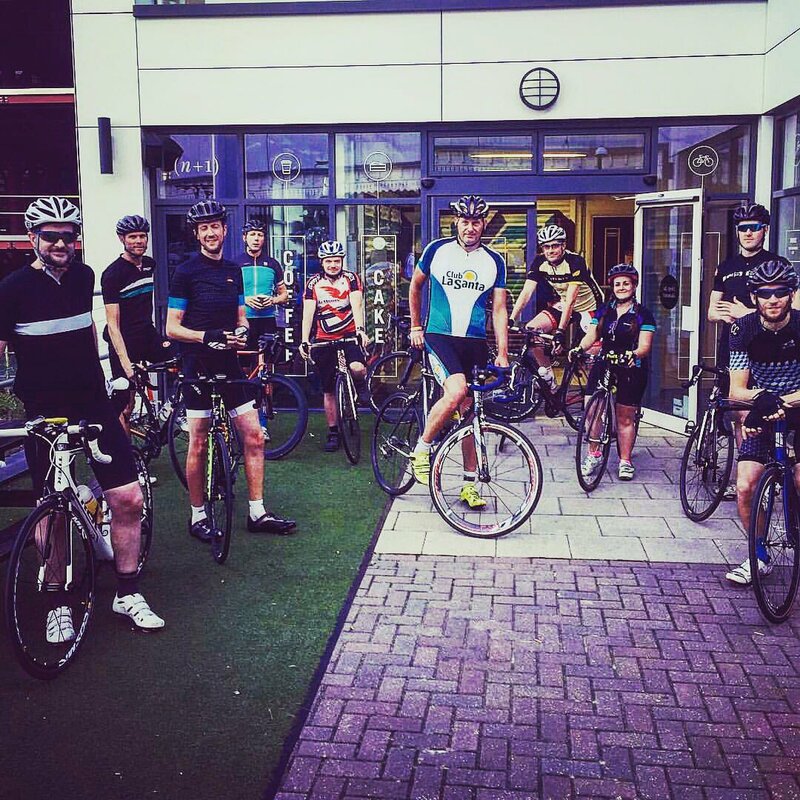 BTRS – an amazing triathlon training group with weekly run, swim and cycle sessions that you can do all or dip in and out of for minimal cost, organised by the most supportive, encouraging, inclusive and kindest person you’ll ever meet, Kurt Charnock. You’ll achieve things you never thought possible and make lifelong friends along the way. BOSH Run – an awesome Facebook community of runners, many of whom are in Brighton and meet up for regular runs and at races etc. Join the BOSH Facebook group. 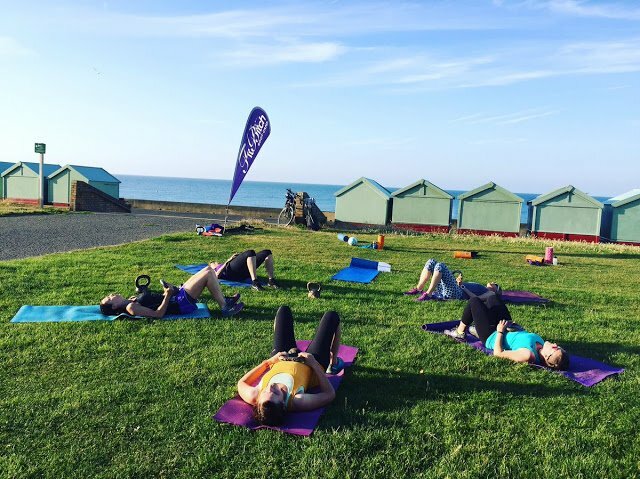 parkrun – of course it wouldn’t be right to not mention parkrun in this post, and in Brighton we’re lucky enough to have a choice of four free weekly timed 5ks every single Saturday to keep us on our toes (or heels, whichever your running style). Synchronised swimming – Yep, you heard me. The Brighton Dolphins Synchronised Swimming Team train three times a week at Prince Regents Swimming Complex in town. I had a go, check out the video below and read the full blog post here. n+1 – free weekly road rideouts from the n+1 cycle hub at Brighton Station, every Wednesday 6:45pm. Not many girls on these rides but they’re a really friendly bunch and it’s great to get out for a lovely hilly road ride with the boys – come along! Brighton She Shredders – Weekly girls-only skateboarding sessions at the newly refurbed Brighton Youth Centre indoor skatepark. I’m gagging to get back here and have booked onto the next bout of adult skateboarding lessons, fingers crossed for the final all-clear from the hospital on my shoulder and wrist before getting back on the board. If ever there was a risk of falling – skateboarding is it! Check out the video we made with This Girl Can and Active Sussex when I went for my first session last year (and read the full blog post here). Sweaty Betty – I’m a sucker for freebies, and the free SB yoga class in store on Mondays with Sarah Williams (previously the lovely Holly Cooper) is a god send. If you can get in, that is. Book early at sweatybetty.com. Studio iO – If you’re looking for a clean, peaceful space of calm to soothe your withered mind and build your strong body as you practice, head to Studio iO for a range of different classes. They also do yoga retreats too. Namaste. Do you like the social aspect of exercise or are you a lone endorphin fiend?